For Nokia, it is all about the keyboard. The ad's protagonist says, at one point, that he is about as productive on his iPad as a cat wearing mittens. The protagonist is a man who just bought an iPad, and by the end of the commercial, is wondering if he might have bought the wrong tablet. His consternation is due to the fact that the iPad does not ship with a keyboard like the Nokia 2520. In an effort to manufacture two advantages, the ad takes a swipe at the iPad's battery life, it's battery life of all things. Fools! But since it was such a halfhearted attempt, I will not give it much space, here. It really just came down to the keyboard. As near as I can tell, that is about the worst competitive advantage Nokia could settle on. The problem with that choice is at once obvious and comical. It is the same problem that faces Microsoft when they try to do the keyboard thing. The Nokia tablet also does not come with a keyboard. Just like with. The Microsoft Surface, the keyboard is a completely separate purchase, and you only have one from which to choose. 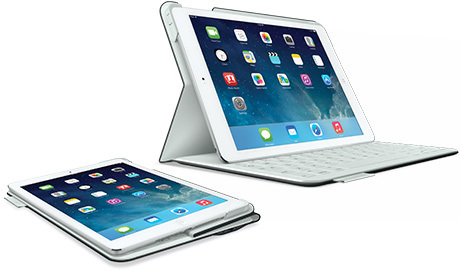 For the iPad, you can choose from dozens of good keyboards specifically made for the device. Most of which are less expensive than the offerings you get from Nokia or Microsoft. Nokia's message is that even though the iPad is thin and light, you just can't type on it. And after all, isn't long-form typing the one thing for which you bought a tablet? I found it interesting that in the ad, at no point was the Nokia ever used for anything, not even typing. You will never see Windows tablets being used without a keyboard. In this case, it is not even used with a keyboard, though the keyboard is pictured at the end of the ad. I believe that when the only negative you can come up with for the iPad is that it does not come with a keyboard, and your product also does not come with a keyboard, then you don't really have a product. By the way, this article was typed up on an iPad, sans keyboard. Oh, the irony.